Line input only version of the Micro 25Rs pre amplifier. If you need a phono stage, see the Micro 25RS pre amplifier. 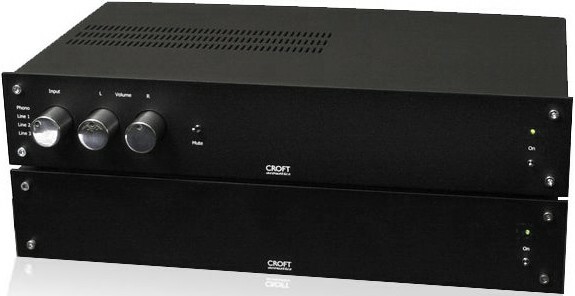 Croft Acoustics Micro 25 Line RS Pre Amplifier is the line only version of the Micro 25 RS pre amplifier. 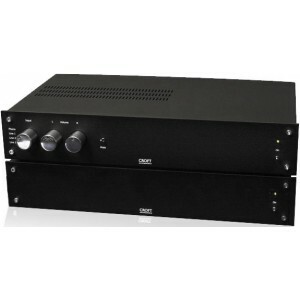 This pre-amplifier is simply wonderful giving a clean, lively and musical sound to all digital sources. There are three pre-amplifiers in the current range, the new Croft Micro 25 basic, the Croft Micro 25 and the Micro 25 "R", to commemorate the relaunch of Croft Acoustics and 25 years since the original Croft Micro giant killers. The original ethos is back with high performance products at a reasonable price. Cosmetically they are similar to each other as they retain the classic case work. Instead the differences are inside the box. Micro 25 RS Line Pre-Amplifier, designed to work with Croft Acoustics Power Amplifiers, both pre and powers are phase-inverting, employs clever Synchronised Switch Damping over the usual cathode follower valve with the Mosfet not being employed directly in the signal path. R stands for Regulation and gives more grip and control over the whole frequency spectrum. S stands for Supply and puts the power supply in a separate matching box. An extra transformer is employed to manage the regulation circuit. Separate volume controls for left and right channels, Selector switch for phono and three line inputs and a mute switch are on the front panel, along with a power indicator light and on/off switch.